We are heavily resource-constrained at the moment, and the goals of the organisation are very much sales oriented. This conflicts with my ability to get my team to start thinking strategically and changing the game. This is unsurprising. In our work helping leaders at tech and digital firms manage situations of hyper-growth, we repeatedly see the need to multiply skills across the organisation rapidly, remove skills bottlenecks and help everyone step up to a higher level. Alignment and Execution come in as second-level concerns for growth-mode leaders, with around 24% of growth-mode execs highlighting these. ​What we typically see here is that when leaders are maxed-out, communication and listening suffer, and leaders often fail to do the necessary work of building true agreement within the exec team around a “rallying cry” - the #1 priority for the quarter - and communicating that to their teams. The result? Frustration and a real sense of dissatisfaction knowing that execution could be so much more effective. Cross functional communication issues are exacerbated by geographical distances. We need to better document routines and share them internally as well as with the new recruits we need as we scale. Leaders in transformation or turnaround contexts struggled with a larger number of organisational issues. ​Alignment issues, execution challenges and a sense of complacency are each major issues for a third of leaders focused on organisational transformation. A significant number of senior leaders are spending too much time doing and managing and not enough time leading. Some of them rarely take the time to step back and spend time on true development of teams and individuals. There’s too much emphasis on short term delivery. 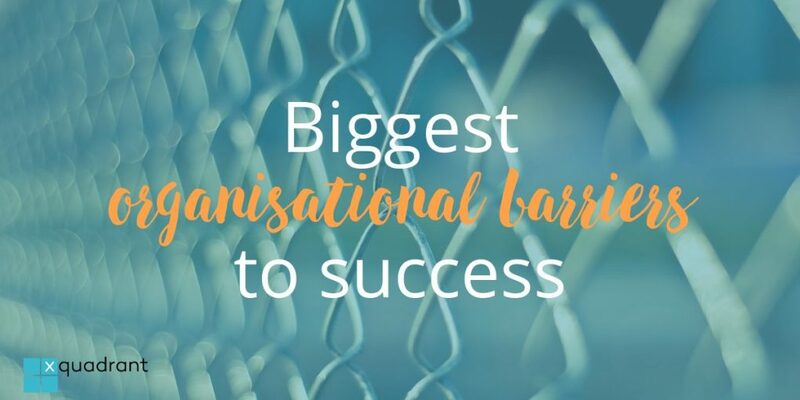 In the final part of the survey, we asked leaders what the biggest ‘game-changers’ would be for them, and what strategies they are adopting to overcome their top organisational roadblocks. This is where we get practical, so the next articles in the series will each explore one of the top three ‘game-changers’ identified by execs in either hyper growth mode or transformation mode. We’ll unpack the idea a little, and give some pragmatic implementation advice.